Part 2 of my interview with Linda Smith, a photojournalist based in Rwanda. Linda is the founder of the "Through the Eyes of Hope" (TEOH) Project. 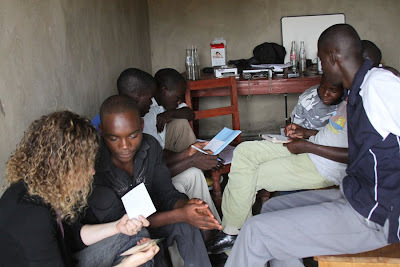 In a tiny, dimly lit room in Mayange, Linda is instructing five students on the “Cards of Hope” postcard project. The students are all boys who have been with the project for the last four years and range in age from 13 to 18 years old. Mayange is located in the district of Bugesera, an area that suffered the most during the Rwandan genocide, 17 years ago. The area with the assistance of the Millennium Villages Project, has been rebuilt in recent years and is now a model for health and community development. Jean, the oldest boy, credits the TEOH Project with helping him gain financial independence. “This helps me to fund my school fees and buy other small things for my family,” he says. When Jean’s father passed away in 2005, he was left to care for his two sisters and brother, while his mother worked to provide for the family. The TEOH project helps him and the other boys to earn a living by selling their photographs within the community. Jacques, who is sitting next to Jean, wants to be a doctor when he grows up, and in addition to school fees, his earnings from the TEOH project enabled him to buy a goat and two hens for his family. He echoes, “I want to continue studying and this project helps me do that. I want to take more pictures so that we can build a photo studio here in Mayange and maybe even open a computer learning center.” As Linda explains the postcard project to the boys, their eyes light up at the prospect of sending their photos to people around the world. Immediately they start thinking of things to write on the back of the postcards. “Will it make it to New York? I want to go there someday,” says Fils, a shy 16 year old. The room suddenly fills with loud chatter and a barrage of questions from the boys to Linda. The room, which doubles as an Internet café, is located in the middle of the dusty streets of Mayange’s center. Janvier, the owner of the café, loans the room to the project on Saturdays, in exchange for a small fee. The boys keep their donated cameras throughout the week, which multiplies their opportunities to take pictures and earn money. After a period of sharing and reflecting, the project wraps up for the day and Linda says goodbye to the boys in Mayange. She then prepares to go to the Kagugu School in Kigali, an hour away. When she arrives, Prossy Yohana, her assistant, has already started to hand out the cameras to the 13 boys and girls present. As the children leave to take pictures within the community, Linda reminds them that they are low on photo paper so they have to limit themselves to three customers each. Even as the children groan at the thought of losing business because of limited supplies, Kofi, a rambunctious 13 year old, is already negotiating with the other kids for their three-picture allotment. Kofi has been a part of the TEOH Project for the last three years and is arguably the most outspoken and enterprising student in the project. While Linda has her share of problems with working children like Kofi, by combining the photography business with art therapy and counseling sessions, the children have been able to overcome some of the trauma associated with the genocide, including the loss of their parents and other loved ones. As Linda reflects on the last few years, she notes that her lowest point came two years ago when she lost one of her students to an unknown infection. Emile, an ambitious 15-year-old boy who was one of the first students in the photography project, became sick in late 2009. Although, Linda suspected that Emile was suffering from appendicitis and he was quickly admitted to the hospital, Emile passed away the following morning from stomach complications. Linda was devastated and for a brief moment, she lost hope and considered abandoning the project all together. Ironically, it was another incident involving one of her other students that convinced Linda not to give up. Odila, a young girl who had been with the project since the beginning, also fell ill. Odlila lost both of her parents to AIDS and she was infected with HIV. Cared for by her sister who could barely make ends meet, Odila was severely malnourished. When it came time for her to be placed on medication (ARVs), her immune system was too weak to support the regimen. Odila spent over a month in the hospital before finally pulling through. Through prayers and other interventions, Odila did not suffer the same fate as Emile and Linda’s hope was restored. More so than photography, perhaps the greatest lesson that Linda is teaching these students is the importance of hope and faith in their future. For many of them, it hasn’t been an easy road but they now realize that they can put the past behind them and dream big. 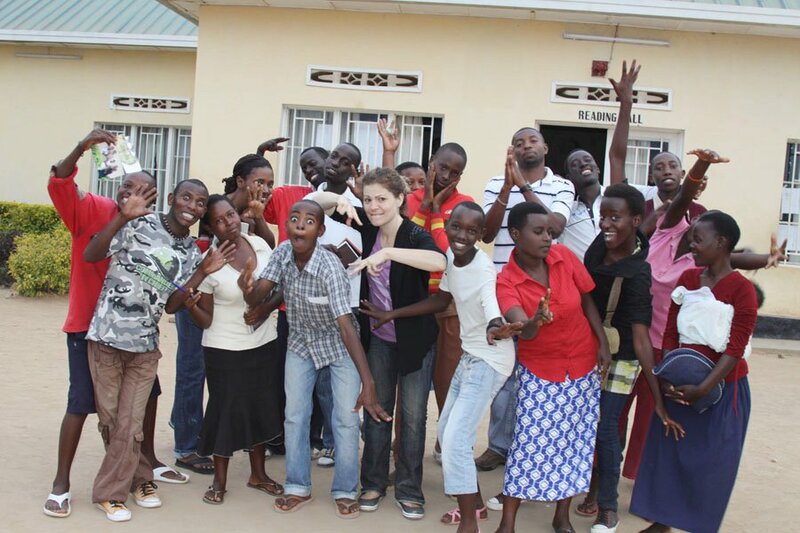 They are the vision for the new Rwanda, and we can see the world through their eyes. For more information on Linda Smith and the "Through the Eyes of Hope" Project, please visit their website: www.eyesofhopeproject.com or www.facebook.com/theteohproject. Quote of the week: "We Have Lived." I write. I travel. I live to make a difference. Take the journey with me.... Check out my about.me profile!